Breezy teamed up with Director Colin Tilley for his new music video 'Don't Wake Me Up'. 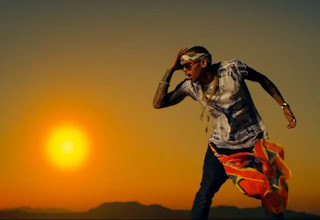 Tilley has directed numerous amount of videos for Breezy, such as his #1 hit 'Deuces'. This new video features Chris Brown having 3 different dreams chasing the leading lady, model Araya Nicks through a maze, a city in the sky and by car in the desert. Check out Tilley work his magic on Chris Brown's new music video once again.